Life Between Living: Happy New Year! First, I want to thank everyone who supported this blog. Watching it grow and meeting other bloggers has been such a highlight this year. I can't wait to network with more people and continue downsizing my blogs to focus more on this one come 2012--which is like TOMORROW! This year went by so fast and I know it had to do a lot with getting married and going on our honeymoon in Thailand. I will never forget the feeling I had on my wedding day--it was the best day of my life. I still haven't even contemplated on how all of my family and friends were in the same place at the same time. I could literally cry for hours if I really think of my mother, father and brothers all being together again. It was like a dream. I remember being this little girl with pigtails dancing in my room, glancing out of my bedroom door, seeing one brother at the desk, the other in his bed reading a book. I can hear the music playing from our music room and visualize my dad playing his drums and my mom singing to Chaka Khan. Flash forward--baby girl--all grown up. Standing in her wedding dress with her father glancing to his side asking if she's ready. My mom (the maid of honor) waiting for me, my brothers and sister-in-law sitting in the left front row eagerly waiting. My step-dad sitting with them. Understanding that time has a way of parting families and bringing them back together again. Once we were 5 people, then 6, then 7 and now 8--the eighth, my handsome groom waiting for me down the aisle. Our dearest friends standing up for us and my new and very lovely family sitting in the right front row. These images and feelings are burned into my mind. They carry me when I am down. They give flight to my dreams. They are how I know I must have done something right in this life. When people ask me if I was scared turning 30 - I say, no not really. I got married, got to see my family and visited Asia for the first time. How could any part of that be sad? The thing about getting older, my mother says, is that you cannot live if you don't age. I am looking forward to another year of life--whether it has obstacles, trials, great times, beautiful moments, life-changing decisions-- because in the end, the happiest times of our lives are what we leave with, when we go into the sky. Woo Hoo!! I knew me and Sergio weren't the only ones who LOVED 2011 and were sad to see it end. But this is only the start of a new journey and more amazing memories. Shaharoh I wish you an amazing new year, I embrace your sweet and wise optimism and I thank you for your kind words. You know I like you don't you ? Kisses. Hi Steph! 2011 was an amazing year and you're so right. 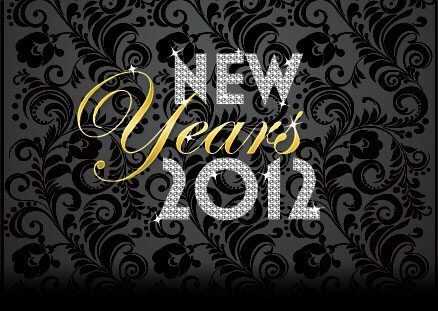 2012 is gonna rock. I'm glad we're sharing our fitness goals with each other. <3 u! Unikorna - You are soo welcome and I so appreciate your kind words as well and wish you and your love a glorious year! And likewise, XOXO!